Price varies from Rs 3000/- to Rs 3 lakh based on the specification of the products. clutch plates for batliboi mysore kirloskar machines. We are engaged in presenting an extensive range of Industrial Stamping Machine Brake Liner to our clients. Moreover, clients can buy these products at competitive prices. We Manufacture a wide range of Textile Machinery Clutches, Rotors and Armature Plates. Used in Dornier, Super Excel, Dornier Vdu , Dornier ZTVS, G 6100 , G 6200, Etc Machines. We are the leading supplier of an optimum quality range of Pedestal Clutch. The provided pedestal clutch is precisely manufactured by our adroit professionals using the optimum quality raw material at our well-equipped production unit. Our offered pedestal clutch is duly inspected by our quality examiners to avoid flaws. Being a customer oriented firm, we are engaged in offering a wide range of Textile Machinery Clutches. These products are manufactured using optimum grade raw material and sophisticated technology in synchronization with international standards. 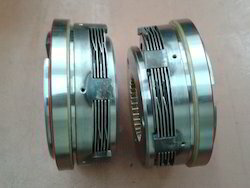 We are one of the reliable companies in this domain and are into offering Safety Machine Clutch. Owing to our huge market knowledge, we have been able to offer our valued clients with a wide range of Printing Machine Clutch. 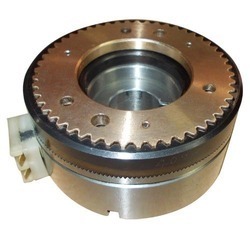 We are effectively ranked as amongst one of the foremost manufacturers of Clutches For Traub Machines. These are appreciated by our patrons for their longer service life, corrosion resistance and easy installation. In addition to this, these are available in different specifications as per the varied requirements of customers. - Driving keyway in the connecting flange for maximum torque capacity. Textile Machines, Material handling equipments, Conveyors, Machine Tools, Glass making Machines, Marble Cutting Machines, Stone Polishing Machines, Photocopiers, Packaging Machines... etc.